We are so much smarter than 99% of Delta flyers! Seriously. I want you all to look very closely at the video in the 1st new bit below. See just how many things these folks got WRONG! We need to understand that, unlike Delta Points readers, MOST, and I fully stand by this as I often ask DM’s in Skyclubs, do not understand what is on the way for Delta in 2014. Now for us, that can be good. 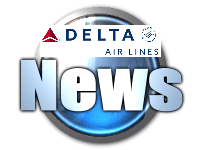 But wow do we all need to keep up with Delta news and I will do my best to help you do just that. How can that cnbc guy not bother to even check his details before opening his mouth ? His chart alone with the 100k mqm for diamond is wrong. I went to plan a trip on Delta yesterday and saw that points are redeemed according to the price of the fare. What I understand a $1000 fare takes 100,000 Skymiles. So the Skymiles are worth 1 cent now? Is there a way around this? @Nancy – yes if you use the pay with miles. Better to look for skymiles seats. I’m not sure why Delta stock being up is good for us as customers. Are they giving good employees 10% raises, or hiring more, or in any way is this filtering to us? I don’t see that. Stock price matters to shareholders, of which I am not one.